Updated July 2015: The WMA audiobook format has been removed from the NHDB collection. If you are downloading to your Windows computer, you may use WMA or MP3 audiobooks. If you are transferring the audiobook from a Windows computer to a compatible WMA player, you may use either format. If you are transferring the audiobook from a Windows computer to an iPod, iPhone, or iPad, you may use either format – but know that if you have the choice between the two formats, you’ll find the MP3 audiobook transfer much faster to do. 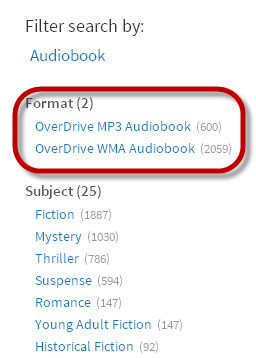 If you are downloading to your Mac computer or use the OverDrive Media Console app for a phone or tablet to download the audiobook directly to the mobile device, you will need to limit your selections to the MP3 format. All WMA audiobooks must always be downloaded to a Windows computer before being transferred to a compatible device. MP3 audiobooks can be returned early to the collection, whereas WMA audiobooks cannot be returned early. See a complete list of known compatible MP3 players. 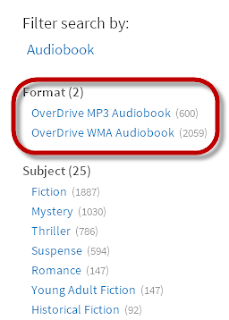 In order to use OverDrive WMA Audiobook titles on a device other than an iPod or an iPhone, the device must play DRM-protected Windows Media content, and either support the bit rate of 32kbps or be able to transcode 32kbps files to a supported bit rate. You may want to check device documentation to determine if a device supports DRM-protected Windows Media content encoded at 32kbps.For this reason, if you are looking to purchase a new player (other than an iPod) that will work with this system, you are strongly encouraged to view the list of compatible WMA (DRM) players and purchase a player from this list. WMA audiobooks cannot be downloaded to a Mac. Mac users will only be able to make use of the collection of MP3 titles. 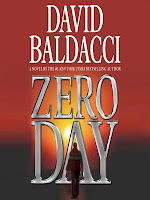 As MP3 audiobooks allow for the greatest flexibility to our listeners, we make every effort to purchase MP3 audiobooks. Unfortunately, at this time many publishers of audiobooks do not release their titles in MP3 format for digital library collections. If you are searching for MP3 audiobooks on a desktop or laptop computer, you will want to filter your search results to show only MP3 audiobooks. Note that if you are using a mobile device, only MP3 audiobooks are shown by default.